Hot stones therapy is based on Oriental disciplines, according to which there are seven energy points called Chakre, located along the central canal – centers of vital energy that are linked to certain organs of the body. From the Chakra points, energy is distributed throughout the body through numerous energy channels that cross the body. 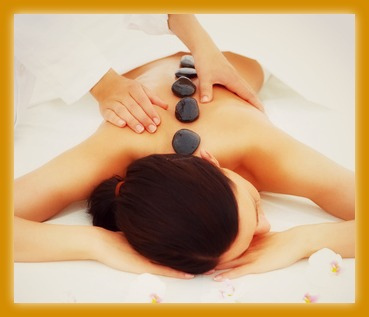 Thus some of the stones are placed on the patient’s body at the seven key points, energetic points called the Chakra. In Oriental culture it is believed that those seven chakra points correspond to one vital organ, the effect of their stimulation being a state of well-being rapspanded throughout the body. The remaining stones are used for a rhythmic massage that offers relaxation. The stones are chosen in sizes and shapes according to each side of the body. – Applying warm stones to the affected area, attracts blood flow from the affected area and reduces the tension in that area.